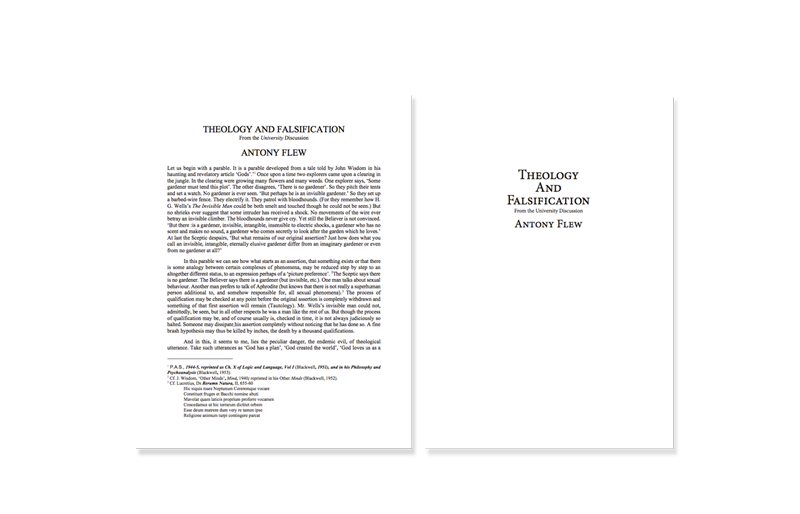 At first glance Anthony Flew’s Theology and Falsification appears visually intimidating, just look at the length of those lines (the measure) and the size of the paragraphs. So, I set out to solve those issues. Original, Redesign.